5 out of 4 developers have never heard about this site, why would you? Recently I stumbled upon Discourse. Finally someone tackled that problem. Forums, while rich in content, have been so dull and unfriendly for so long. Anyway, I wanted to get it up and running for myself, preferably on some cloud infrastructure, to play around. 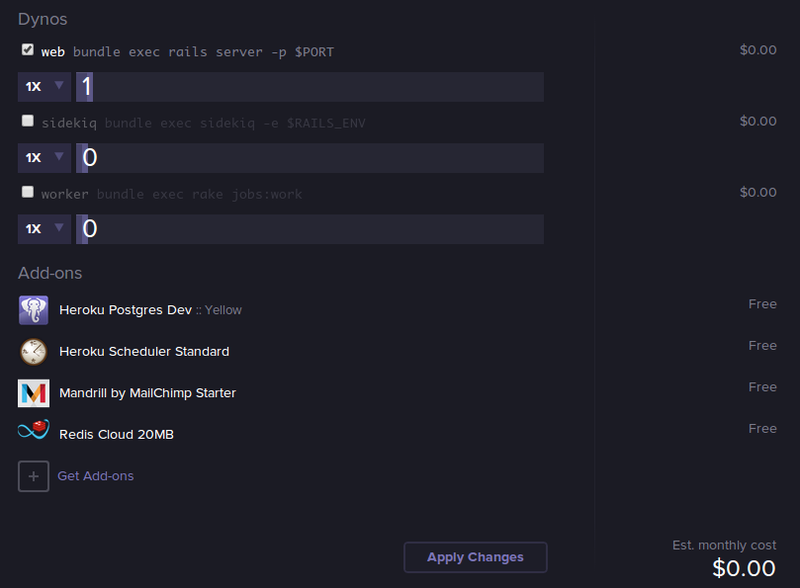 I’ve had previous experience with Heroku, so chose that setup, for no other reason. The Discourse’s own forum has plenty of other options so feel free to investigate. Redis Cloud for Redis, Sidekiq etc. Currently free plans are used for all of them as you can see below. You can find the script here, feel free to use it, change it, do things to it you see fit 🙂 The main idea was to do as minimum manual work as possible, at least for this phase where I follow the default instructions closely. This of course might change, but for now is quite all right. When setting up PostgreSQL, take care to enable HStore on it  and to set appropriate discourse user permissions . You can change username and password easily to match your setup. Also, you need to replace the SECRET_TOKEN within the script and match it to your own setup. I took care to match it to the one set for the Heroku instance (heroku config:get SECRET_TOKEN). Aside from the script, you should still follow the instructions on mentioned documents to e.g. create initial user, setup Amazon S3 upload etc.